Reader in Organic Chemistry, Department of Chemistry, University of Cambridge, UK. 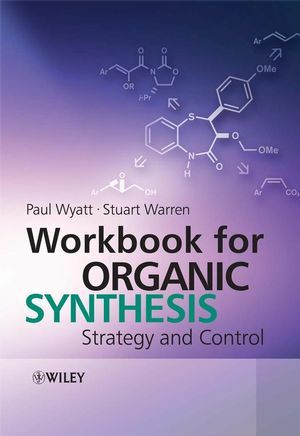 This workbook provides a comprehensive graded set of problems to illustrate and develop the themes of each of the chapters in the textbook Organic Synthesis: Strategy and Control. Each problem is followed by a fully explained solution and discussion. The examples extend the student's experience of the types of molecules being synthesised by organic chemists, and the strategies they employ to control their syntheses. By working through these examples students will develop their skills in analysing synthetic challenges, and build a toolkit of strategies for planning new syntheses. Together the workbook and textbook provide a complete course in advanced organic synthesis. 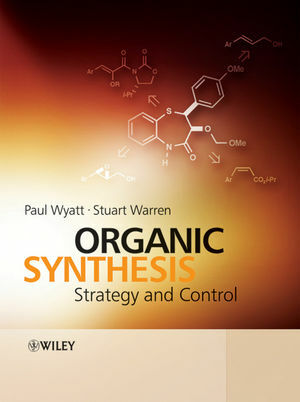 Organic Synthesis: Strategy and Control is a sequel to Stuart Warren's bestseller Organic Synthesis: The Disconnection Approach. The 'Disconnection' book concentrated on the planning behind the synthesis of compounds. This book focuses on putting the planning into practice. The two themes of the book are strategy and control: solving problems either by finding an alternative strategy or by controlling any established strategy to make it work. The book is divided into five sections that deal with selectivity, carbon-carbon single bonds, carbon-carbon double bonds, stereochemistry and functional group strategy. Interpenetrating this structure, the 36 chapters start with classic methods and progress to modern methods and modern strategic considerations. Heterocyclic chemistry is treated throughout the book with full mechanistic explanations as part of organic chemistry rather than a separate entity. 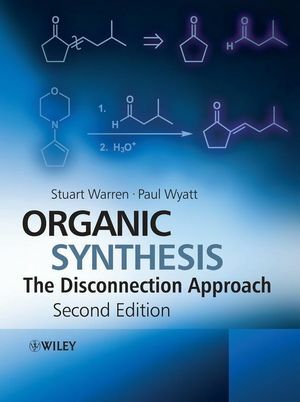 Students and professional chemists familiar with Organic Synthesis: The Disconnection Approach will enjoy the leap into a book designed for chemists at the coalface of organic synthesis. Dr Wyatt is Director of Undergraduate Studies for the School of Chemistry at Bristol University and also Director of BRISTOL ChemLabS - a HEFCE Centre for Excellence in Teaching & Learning. By working through these examples students will develop their skills in analyzing synthetic challenges, and build a toolkit of strategies for planning new syntheses.